Discover what was once the great Maya civilization in Guatemala City. You’ll visit the archaeological site of Kaminal Juyú with your guide and tour the Miraflores Museum, where you can see mounds and objects used by the ancient Maya. Hotel pickup and drop-off, along with entrance fees, are included. The tour start at 9:30am at the site, located just in the middle of Guatemala City. You will enjoy a 1-hour guided walking tour of the pre-Columbian archeological site. 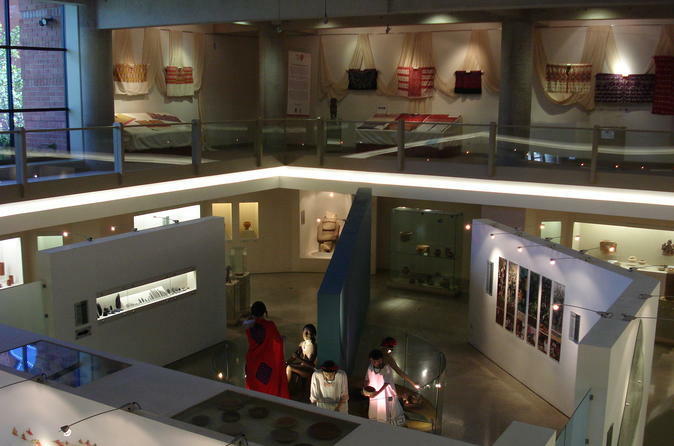 Afterward, continue on to the Miraflores Museum where you can observe Maya artifacts and other vestiges of the ancient past. The museum visit is followed by some free time at the Miraflores Mall where you are able to do some shopping before return to your hotel.